Back in class again! Whether in high school or college, students lead active lives with jam-packed schedules, from listening up during class, to focusing during study time, to heading to after-hours extra curriculars. 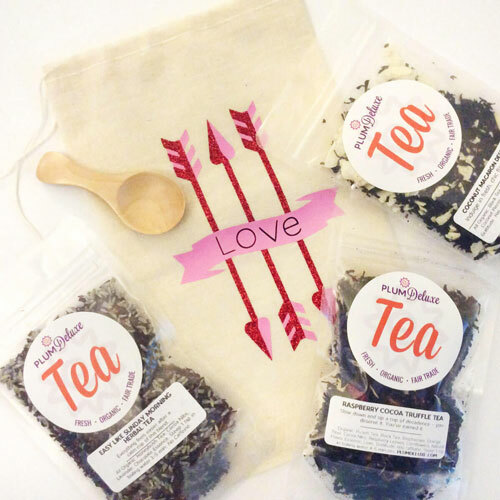 A cup of tea can help improve any situation, so if you’re looking for something special to share with a busy student in your life, learn about the best tea gifts for students to include in your next care package. Give your student ways to drink tea on the go so they can be sure to have a cup at hand no matter where their studies take them. Tea filter bags allow any loose leaf tea to be easily bagged and brewed, just add water. Remember to include some honey sticks or rock sugar as easy ways to help sweeten their cup. Consider gifting your student a thermos meant for brewing loose leaf tea, like this one from Tea Libre. Brew the tea hot by simply scooping in their favorite tea and adding hot water. Make iced tea by putting in leaves and cold water the night before. By morning, the cold-brewed tea will have reached its peak flavor. If your student needs another cup between class, they simply add fresh leaves and more water and head on their way. Snacks are a welcome surprise for just about anyone, and a perfect accompaniment to tea gifts for students. Sweeten up your tea care package by making your own chocolate bark for a showy and delicious treat. Or, bake some shortbread cookies or almond biscotti to serve as the perfect tea time biscuit. 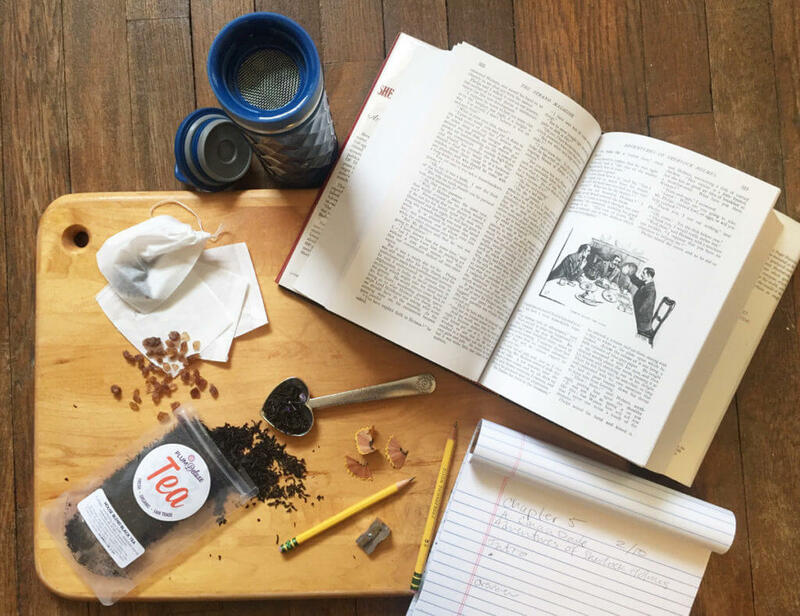 Some perfect tea gifts for students might include much-needed supplies for tea-making like a cherrywood tea spoon or a pewter tea scoop to give them the perfect portion of loose leaf every time. great for occasions when there aren’t tea bags on hand. 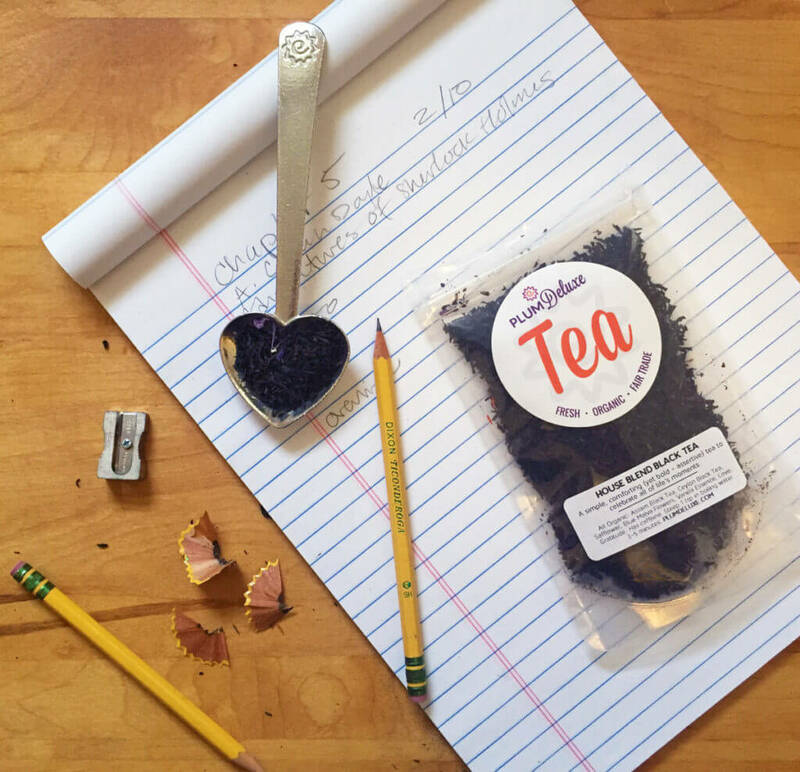 If your student is in a place where they can receive mail, consider ordering them a monthly Plum Deluxe subscription — it’s like an automatic care package full of fresh tea flavors every month! Perhaps the most important part of any tea gifts for students: tea! Pick out different teas for every occasion your busy student might encounter. It’s hard to go wrong with a classic black tea at breakfast time. 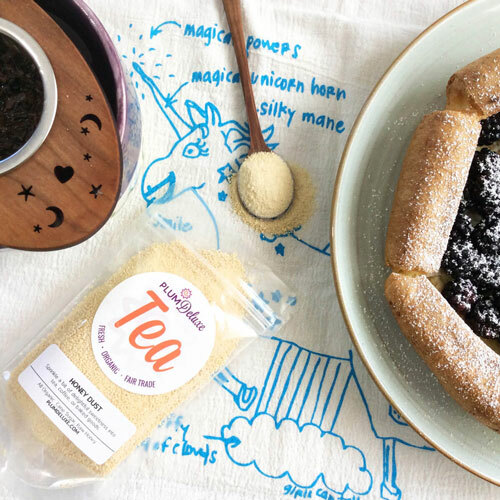 Brew a pleasantly tart wake-up call with Fog Cutter, a bold Irish Breakfast tea and a hint of lemon. Or go on the sweeter side with Breakfast in Bed blend with blackberry and hazelnut flavors. If your student is a caffeine fiend, give them some matcha green tea powder or Raspberry Revitalizer Lemon Mate. Both matcha and mate pack plenty of caffeine, but with more antioxidants and fewer jitters than coffee, and both are a great suggestion for anyone who is trying to cut down on coffee. For those busy study sessions, send some After Dinner Mint herbal blend. Mint helps reduce stress and increase focus. Learn about other health benefits from herbal teas to pick out more of your favorite blends. To help encourage a good night’s sleep include a cup of Calm Chamomile Bloom, with lavender and chamomile. Just in case a cold is going around campus, read up on teas that are the best to drink when you’re under the weather. 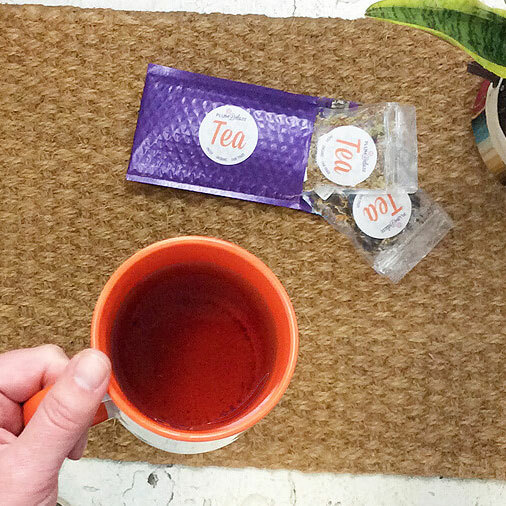 Pick Me Up is the perfect tea for the mid-afternoon slump. An oolong with medium caffeine, this tea is naturally sweetened with maple and marzipan flavors. 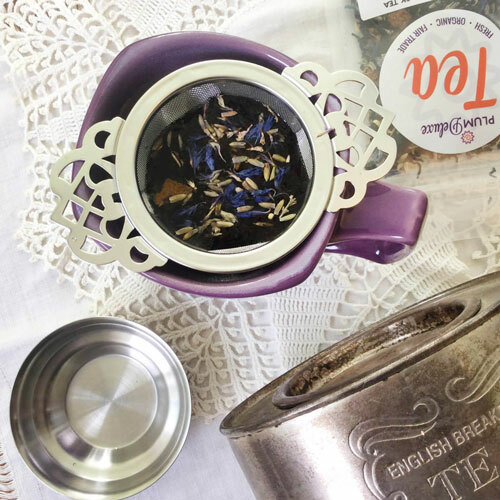 (This decadent tea goes beyond tea gifts for students and might just be the perfect pick to treat yourself!). 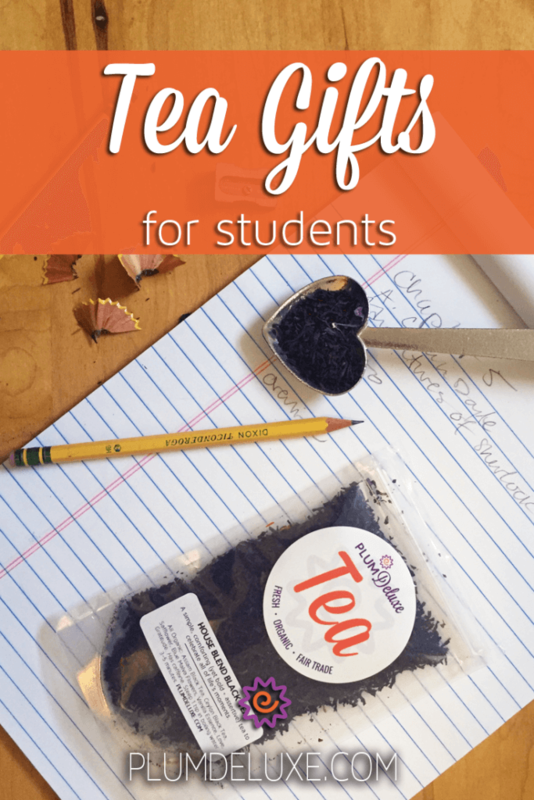 Whether you want to encourage a healthier lifestyle for your student or just share some of the comforts of home, there are so many great tea gifts for students. No matter which teas you pick, you are sure to brighten your student’s day!